Gardens are immobile, literally rooted in the earth, but they are also shaped by migration and by the transnational movement of ideas, practices, plants, and seeds. In Paradise Transplanted, Pierrette Hondagneu-Sotelo reveals how successive conquests and diverse migrations have made Southern California gardens, and in turn how gardens influence social inequality, work, leisure, status, and our experiences of nature and community. Drawing on historical archival research, ethnography, and over one hundred interviews with a wide range of people including suburban homeowners, paid Mexican immigrant gardeners, professionals at the most elite botanical garden in the West, and immigrant community gardeners in the poorest neighborhoods of inner-city Los Angeles, this book offers insights into the ways that diverse global migrations and garden landscapes shape our social world. Pierrette Hondagneu-Sotelo is Professor of Sociology at the University of Southern California and the author of Gendered Transitions, God’s Heart Has No Borders, and Domestica. She is regarded as one of the most accomplished and imaginative immigration scholars in sociology today. "Hondagneu-Sotelo offers us an entirely new way of understanding, quite literally, the landscape of immigration. And in so doing she also shows us how this is the landscape of Los Angeles. 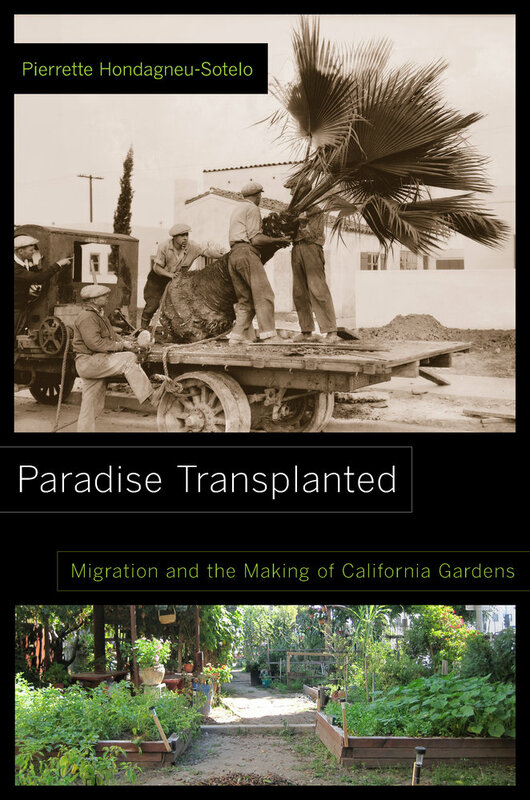 Paradise Transplanted is a highly original book that is beautifully written and brings together sociology, geography, history, and urban planning in new and compelling ways. It will forever change how you 'see' Los Angeles. "—Laura Pulido is the author of Black, Brown, Yellow And Left: Radical Activism In Los Angeles, as well as co-author of A People's Guide To Los Angeles. "In humanizing nature through their gardening, Pierrette Hondagneu-Sotelo reveals how immigrants have created communities of meaning, hierarchies of pleasure and power, and landscapes of beauty. Paradise Transplanted is a labor of love, projecting a brilliant light onto the social structure of Southern California—from the intense work of inner-city neighborhoods to the manicured world of middle class suburbs, to the aristocratic display of trans-continental elites. Public sociology at its best. "—Michael Burawoy, University of California, Berkeley.